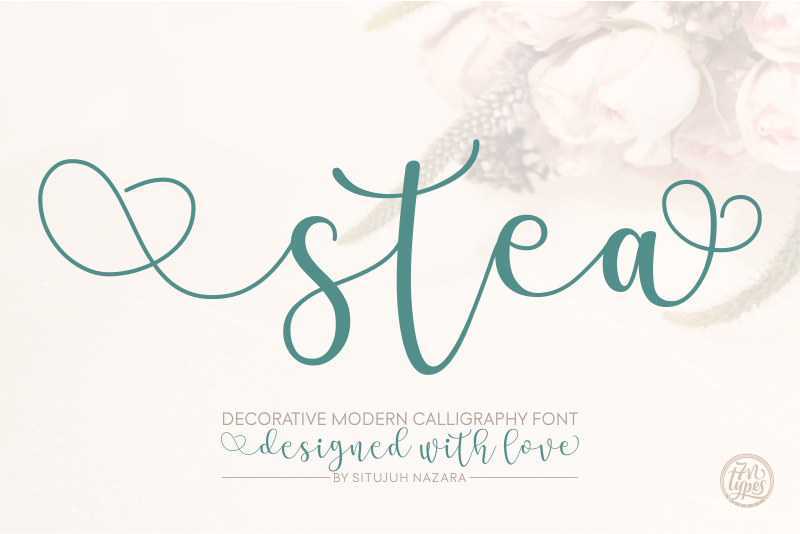 Stea is a fun, decorative script font. It comes with stunning decorative characters that can be used to decorate the end and beginning of words as well as gluing words together. This allows for unique combinations that make your designs stand out. Stea Font is design to make all the users are easily use it. Use numbers as borders or patterns to your design. Contact me [c7nazara@gmail.com] or visit my website [https://7ntypes.com] if you have any request or question.